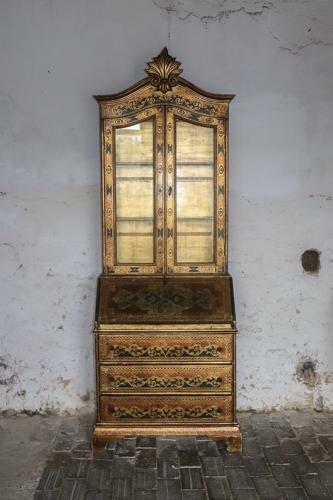 Pretty 1930s Florentine bureau with glazed bookcase top. The bottom bureau part has its original 'desk' with drawers and pigeon holes above three drawers. Great small size.